Arts related events in Rockland County NY. We host monthly knit nights. MAY 2, we will host KNIT @ BRICK NITE at Union Restaurant & Bar Latino. 22-24 New Main St. Haverstraw, NY. 7-9pm. $10pp includes chips, salsa, glass of sangria & tip. Knitters and crocheters let's socialize, stitch & drink. Open to all levels. Bring your latest project to stitch n'share. Beginner? No problem. Let us know and we will hook you up. RSVP: haverstrawriverarts@gmail.com. DATE: 7/20-7/21/18 - 12-4PM DOCKED IN EMELINE PARK, 16 Front St. HAVERSTRAW. FREE EVENT. GREAT EVENT for kids and the whole family. 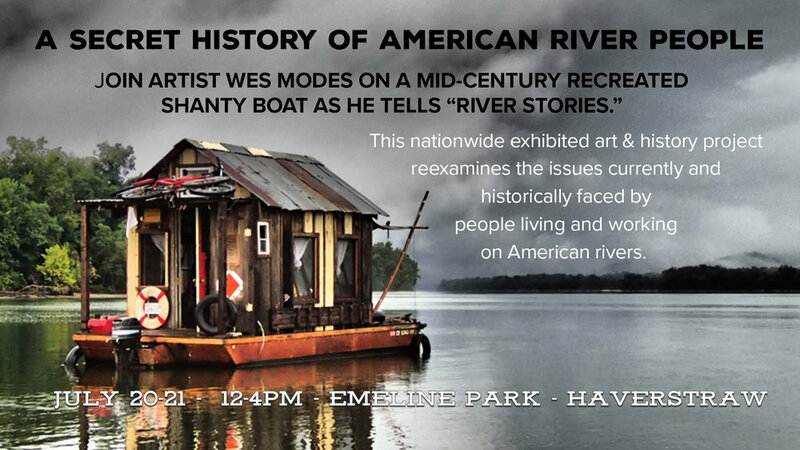 A rustic recreated mid-century shanty boat, a daring river voyage on New York's historic Hudson River, and a meticulous archive of river stories are all part of a compelling art and history project, "A Secret History of American River People." 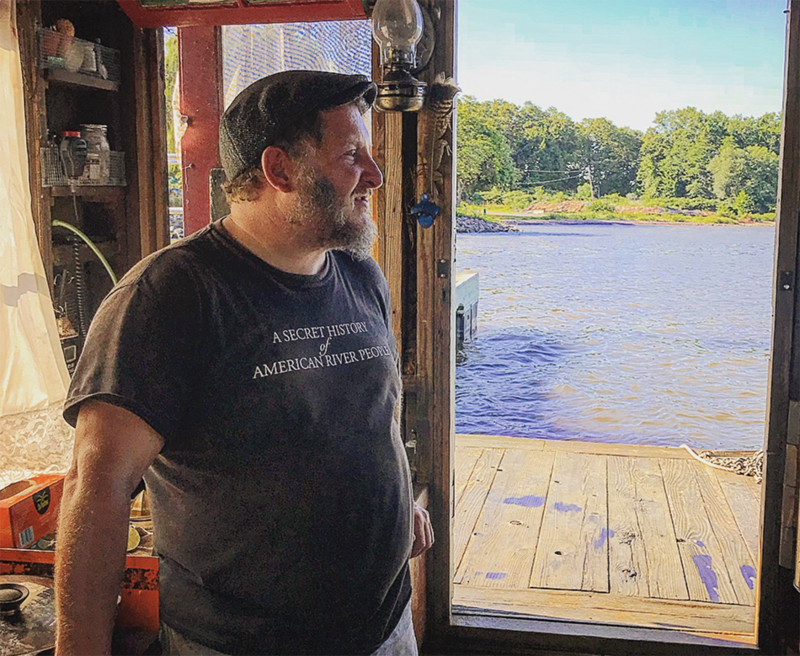 The project reexamines the issues currently and historically faced by people living and working on American rivers. 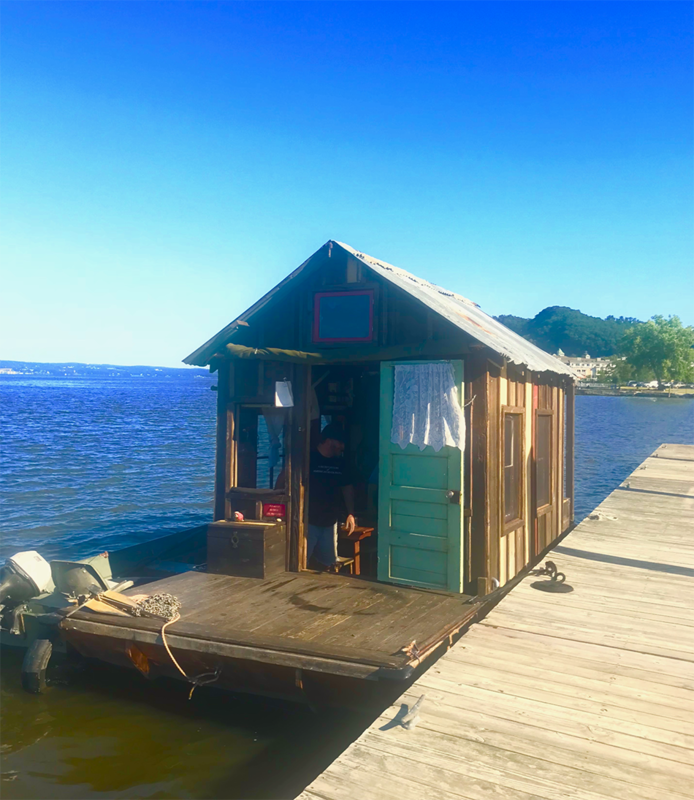 This summer, in conjunction with a major exhibition at WhiteBox Art Space in New York's Lower East Side, the artist will be floating his homemade houseboat on the historic Hudson River. Modes seeks out people whose stories are not typically part of the historical record. "I talk to poor and working folk and people who grew up along the River and worked in vanished industry. I seek out the stories of the first people on the continent and people living in Black and Latinx communities. I try to find our elders who grew up here and remember a different time and a different river." SPONSORED BY HAVERSTRAW RIVERWIDE ARTS & THE HAVERSTRAW BRICK MUSEUM & CENTER FOR HISTORIC PRESERVATION.